More often than not the e-mails we receive through our web site asks one of the following questions: “how do I get started”, “how do I become an air show pilot”, “how do I become a Red Bull Air Racer”, and last but not least, “how do I get a sponsor”. There are many avenues to get there, but I will share with you my thoughts on “making it” in the sport flying world. That’s an easy one. 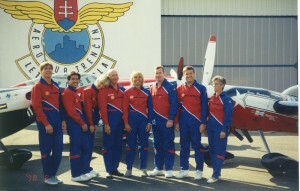 To start on your aerobatic flying career, simply go to www.iac.org and find an aerobatic flight school near you. I’m sure that once you do your first roll and see the world from a different perspective, you’ll be hooked. However, the journey is just beginning, and it’s not going to be an easy road to the top. The real answer to the question “how do I get started”, is that you need to have a dream and an undying passion for the sport in which you have started. I personally started my flying career in a Decathlon trainer, but the more advanced two-seat Pitts and EXTRA are good too. They are certified and offer a good platform in which to learn. Well, I think there is no such place as “the top”. It’s all about your perspective. 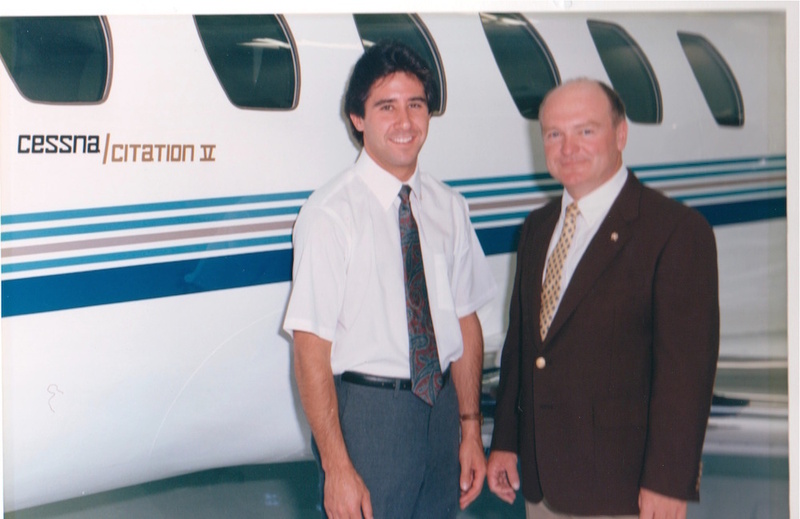 For me, being invited to fly at EAA AirVenuture Oshkosh back in 1998 was a huge thrill. 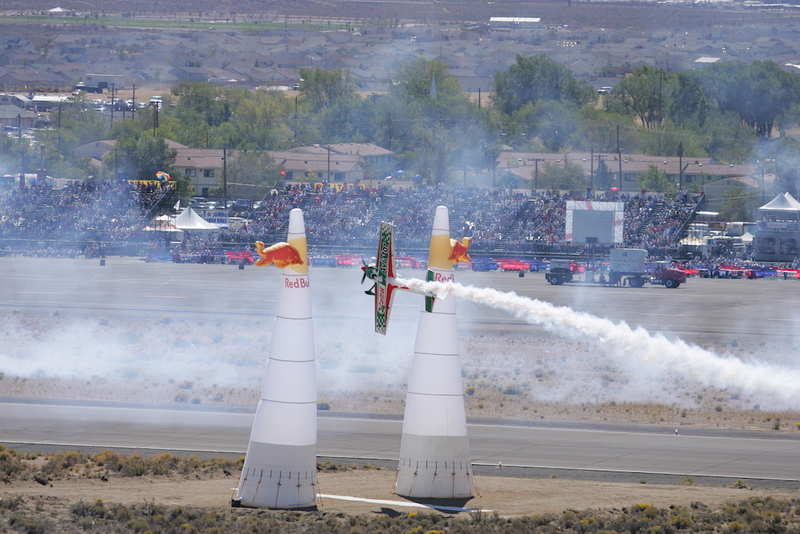 Then, my inclusion in the Red Bull Air Race was another real thrill for me. I’m excited and honored to be living a life in the air and I don’t take it for granted for one second. To get to the top ranks of World Aerobatic Competition or air show flying, you’re looking at approximately ten years of practice and training. Maybe more. There is simply no easy way to get to the top except for old fashioned blood, sweat, and tears. It costs a lot of money and will take a lot of time. In fact, to get to “the top”, you’ll have to give up EVERYTHING for the next decade. That’s it, you can’t do anything else. Eat it, breathe it, sleep it, and live it. If you don’t give up everything to chase your dream, you won’t realize that dream. However, the kid in the next state or country who is just a little bit more hungry than you to “get there”, will make it. So don’t give up. Money helps, but it’s not vital. Many people have made it in the sport by working like crazy at night while flying acro during the day. It’s a longer road, but one worth traveling. That reminds me of the winter of 1995 when I ran out of money and my parents couldn’t afford to help me make the bank payments on my EXTRA 300S. There was only one thing left to do…. put the payments on my credit card. I was not going to let a lack of money keep me from my dreams. So I built up about 20K worth of credit card debt over the next six months. That September I won the US Nationals and started making money flying air shows. After about a year, I had paid off my debt. Those are the kinds of tests that one will be faced with along the way. As the saying goes, “if it were easy, everyone would do it”. 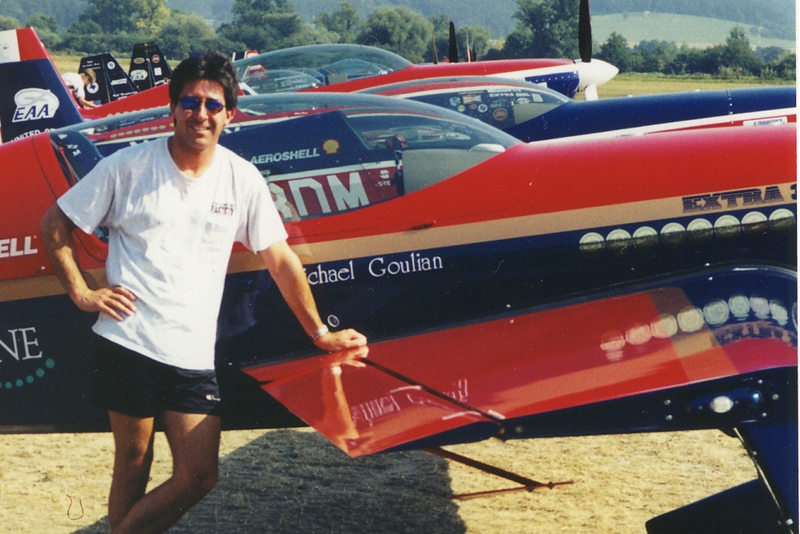 To be in the RBAR, you have to become an aerobatic champion first. It’s that simple. To handle an aircraft like it’s an extension of your mind, flying MUST be second nature. You can only get that instinct through many hours of low level acro flying. Being invited to be in the RBAR is the ultimate honor and one not to be taken lightly. It’s an unforgiving game. BUT, it’s worth the wait!!!! Most people say to me, “I need a sponsor and then become an air show pilot”. From my experience, the sponsors come last. First, you need to show courage and determination by becoming a winning aviator. Second, your flying and your attitude must be mature enough to handle the privilege and responsibility that comes with flying the colors of a company. 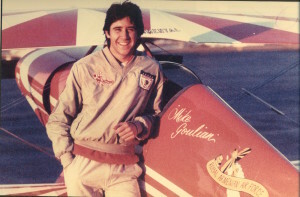 I took my first aerobatic lesson in 1985 and “signed on” with my first title sponsor in 2004. To me, the 19 year wait was worth it! Well, that’s my two cents on getting started towards a life of sport flying. Now, all that’s left is to make a decision on whether it’s right for you. If you feel this is “your destiny”, you must “go for it” with all of your drive, determination, and passion. Again, it’s not an easy road. But, if you persevere, you’ll be rewarded with a life of adventure!! 1985 – My in our Decathlon trainer. 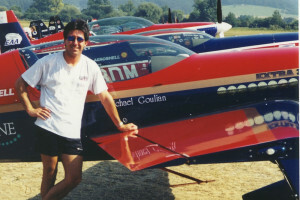 First aerobatic contest. 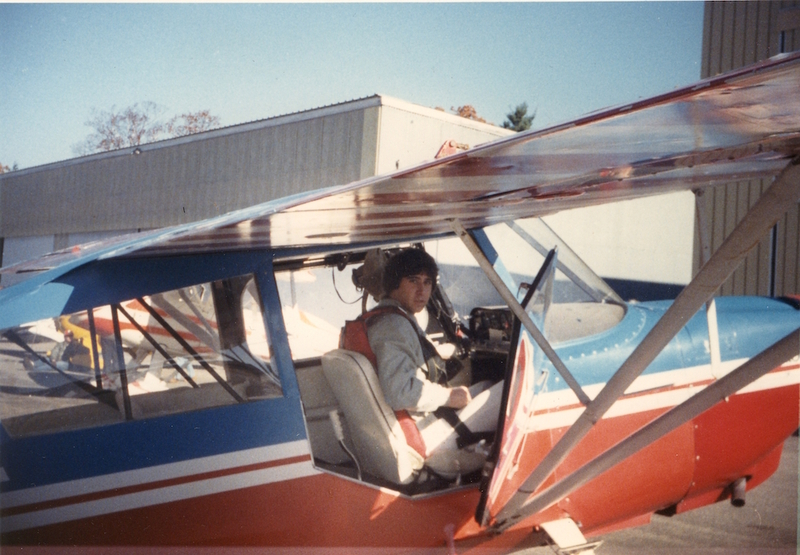 1986 – My first Pitts! 1998 – We had our airplanes flown in by C-5 to Germany. The team ferried them to Slovakia. 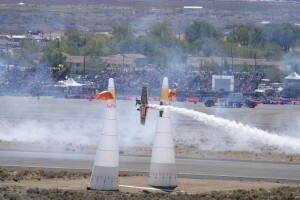 2004 – First Red Bull Air Race in USA at Reno during the air races. 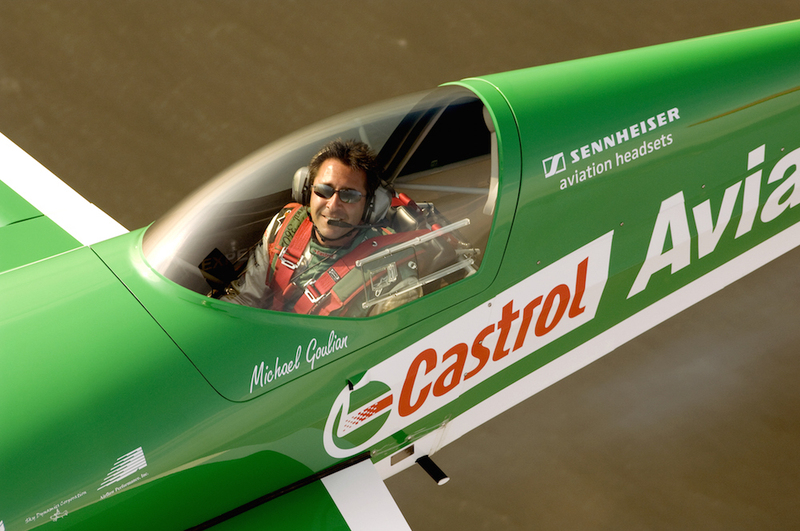 2008 – My first major sponsor, Castrol Aviator (BP). In my Extra 300S.